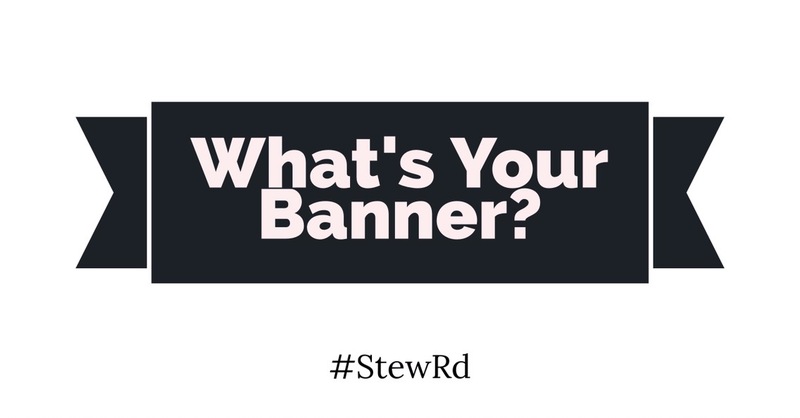 What’s Your Banner? – Stew Rd. What we believe about ourselves is formed by what voices we agree with. Are we partnering with truth or a lie? What we agree with becomes a banner over our life that can communicate “this is who I am”. Do I agree with the banner of ‘loved’ Father has for me or a false identity the enemy wants me to take on (failure, unloved, victim, afraid, angry, rejected)? Although invisible to the natural eye, it can often be perceived or felt in spirit. We tend to treat people in a way that leads them to eventually behave in ways that agree with what we believe about ourselves. For example, if my banner and belief over myself is, “I am unloved!” I will interact with a guard up that communicates “you don’t love me.” If they try to love but you don’t receive it or reject it, eventually they quit and then you say, “See! I was right. You don’t love me!” That scenario can be reversed as well. What if I choose to believe I am loved? I operate with trust and give the benefit of the doubt when hurt and communicate to find out and confirm that I am loved instead of assuming the opposite. Likewise, if my banner is “rejected” I will treat myself, think of myself and talk to myself as rejected. How I deal with others will pass through that filter as well. Father gives us other names and roles, but His primary banner over us is ‘loved’. We need to grow beyond natural impressions and feelings that want to agree with a lie someone has embraced about their self (or own self). This is why it is vital to see people through the eyes of the Holy Spirit and not our natural eyes or feelings. So, what are the banners and beliefs flying over you today? If it does not agree with the massive ‘Loved’ banner God has placed over you, get rid of it. Pingback: Picture Pages 2 – Stew Rd. Pingback: No ‘Self’ Punching – Stew Rd.